SAN MATEO, Calif., July 17, 2018 (GLOBE NEWSWIRE) — Today, Theta Lake, Inc., the leader in compliance for video and audio communication, announces two new partnerships and the immediate availability of two new product integrations for marketing and personalized sales video compliance with Vidyard and Videolicious. The new capabilities and partnerships aim to solve the adoption gap for video sales and marketing in regulated industries. According to a survey conducted by Wyzowl, 85 percent of people want brands to generate more video, giving support to the positive ROI that 78 percent of organizations experience with video marketing solutions. Despite the compelling reasons for businesses to use personalized sales and marketing video technologies, regulatory constraints have meant slower adoption of video marketing and its many benefits in verticals such as financial services. The adoption barrier stems from regulatory guidelines including those from FCA, FDA, FFIEC, FINRA, and the FTC. These regulations and guidelines require companies to review, capture, and retain communications to ensure they have fair and proper disclaimers and disclosures while adhering to advertising and promotion standards. Any increase in video sales and marketing usage enlarges the burden on compliance teams to monitor, address risks, and report on activity in video communication. According to the Thomson Reuters Cost of Compliance 2018 survey, 74 percent of financial firms surveyed expect an increase in time spent on managing regulatory risk. That same survey report found that conduct risk and improving surveillance will be a top focus for compliance teams. With that in mind, video faces increasing adoption obstacles from compliance in regulated verticals such as banking, insurance, wealth management, healthcare and pharmaceuticals. 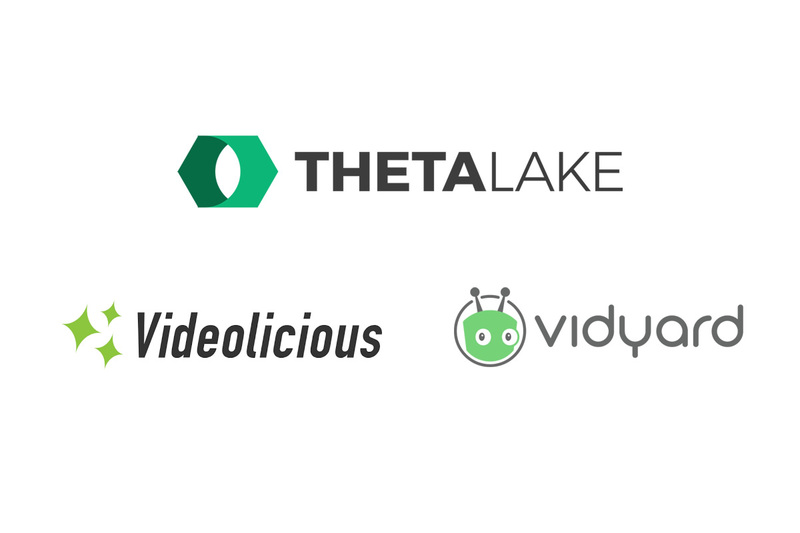 The two new partner integrations provide Theta Lake customers as well as customers of Vidyard and Videolicious with a first of its kind compliance solution for video content review that reduces compliance risk and compliance review time to improve compliant marketing video adoption and availability. Videolicious is a fully automatic video creation platform that allows sales teams to engage buyers with high-quality, branded videos created with marketing approved assets instantly from their desktop or mobile devices. Its patented technology creates seamlessly edited videos with music, transitions, logos, and graphics overlaid on personalized messages that connect sellers to buyers, increasing responses and meetings booked to create more sales opportunities. Customers such as SAP, GE, Dell, AWS and hundreds more rely on Videolicious everyday to drive their global sales and marketing strategies. Theta Lake provides cloud-based compliance for video, audio, and other modern digital communications. Its patent-pending technology uses AI, deep learning, and seamlessly integrates with the leading video marketing, video conferencing, and audio recording platforms to detect compliance risks in what was said or shown in modern digital communications. Using AI to also power insights and automation, Theta Lake provides directed workflow to add consistency, efficiency and scale to the compliance review and supervision process, driving down the cost of compliance. To learn more, visit https://thetalake.com.